During most of the first Barrack Obama term in the White House, his USDA has been working on a "new" proposal for a mandatory national animal identification program. While more of a voluntary approach than the mandatory proposal that was contemplated during the Bush administration, the new measure still has raised some concerns within the livestock industry. One of those who is worried by the inclination by some within USDA to have a de facto mandatory program is the former chairman of the House Agriculture Committee, Republican Bob Goodlatte of Virginia. 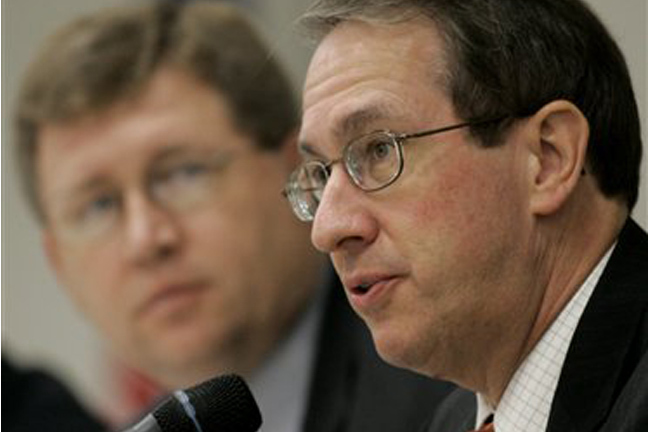 Goodlatte is staying on top of the issue, and is our guest today on the Beef Buzz. “It is very important that we have a safe food supply. And one of the things that comes up is when you have a disease infestation of some kind, it’s important to find the source of that and be able to deal with the problem by isolating it and making sure it doesn’t spread from herd to herd. Goodlatte made it clear that it is producers, not the government, which is best able to respond to any threats to food safety. The new proposal by the USDA would only require identification and tracking of livestock traded across state lines. It would be phased in gradually and be applied first to older animals in the U.S. cattle herd. Goodlatte considers this proposal noting more than a backdoor approach to mandatory animal identification and he doesn’t like it. “When I was chairman of the agriculture committee and the Department of Agriculture was gearing up to promote a mandatory nation animal identification system, I invited the secretary of agriculture at the time, he’s now Senator Mike Johanns, up here to Capitol Hill to meet with me in my office at the agriculture committee to stress to him how important it was that anything that is done in this area has to be voluntary. It has to give farmers the opportunity to decide for themselves whether or not they want to participate and it has to give them the maximum opportunity to decide what system works best for them. And so I worked very closely with the National Cattlemen’s Beef Association to promote that idea and Secretary Johanns was very receptive to that and, in fact, went back to the department and moved the department in a completely different direction away from a national mandatory animal identification system. Congressman Bob Goodlatte warns about renewed animal ID efforts.